When it comes time to choose a new bait casting reel, a fisherman needs to consider several things. Price is always a factor, but most of the time, you pay for what you get. Quality is another big determination, since you want the reel to feel good and work correctly. Finally, durability is involved to make sure that your investment lasts for many seasons to come. The Abu Garcia C4 Round Baitcasting Reel exemplifies excellence in all of these characteristics and is available at Cabelas for only $139.99. The Abu Garcia C4 Round Baitcasting Reel’s 6.3:1 gear ration offers a very smooth cast and the reel also has a Duragear two gear system. Any bait caster needs to be easy to use and the Abu Garcia brand makes theirs awesome and easy to flip under your favorite docks and cast long distances. The reel has a very fast retrieve and is strong enough to hold up against any fish that you can manage to hook onto. With the C4 you also get the one-of-a-kind Carbon Matrix™ drag system that gives you extremely ultrasmooth drag and consistent drag pressure. The Synchronized level wind system improves line lay and cast ability so you’ll always be able to hit the right spot. Many people love to use the Abu Garcia C4 Round Baitcasting Reel for trolling and we would agree. It’s great for getting big walleye, bass and northern pike and you wont have to worry about it seizing up if it gets wet. Anyone looking for a quality reel for a great price should try out the Abu Garcia C4 Round Baitcasting Reel . What’s your favorite reel for the types of fish that you go after? Learn about the latest Hunting and fishing gear and reviews on MorningMoss.com. 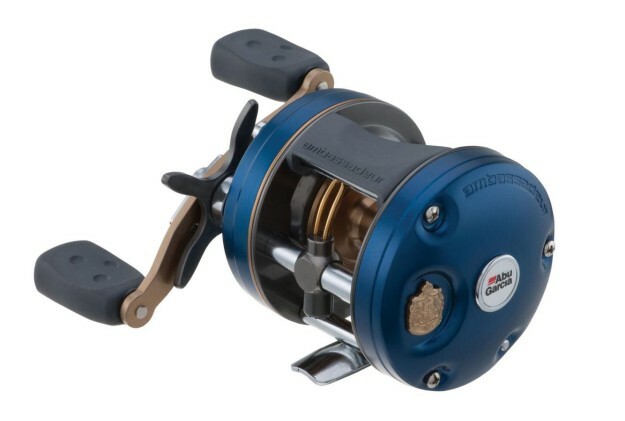 You can check out more of the best spinning reels on Fishing Gadgets Hub.